In colder months many of us crave different types of food such as stews, curries, soups and anything really that would warm us up. 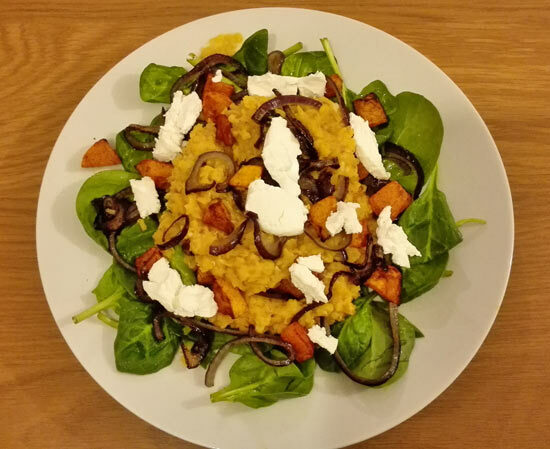 But you don’t have to resort to unhealthy creamy meals – there are so many alternative, healthy recipes out there, all brimming with seasonal ingredients such as butternut squash, pumpkin, parsnip and cauliflower. Why not give them a try? I had a good browse on Internet to find the very latest healthy recipes containing seasonal ingredients. My top picks are all vegetarian recipes which are full of flavour and many of them are quite easy to make. 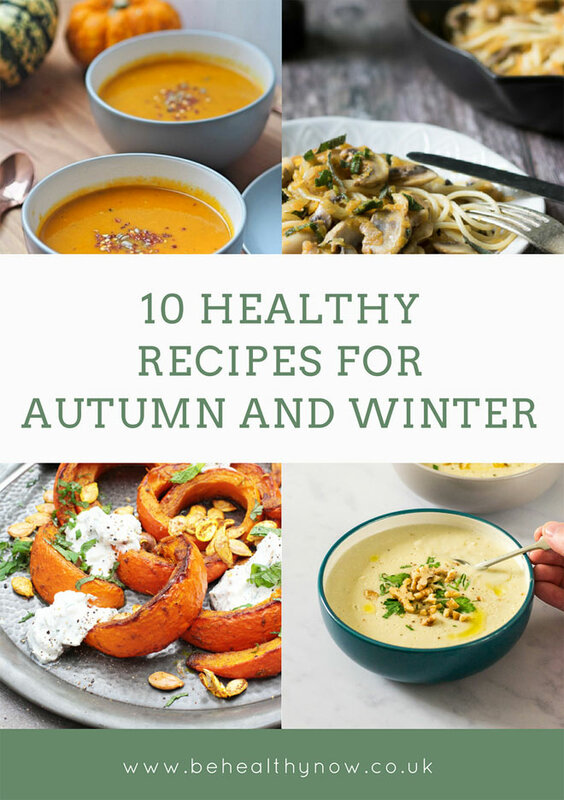 I’ve picked quite a few soups just because, who doesn’t love having soups in winter?? Check the recipes below and let me know which one is your favourite and which one is the one you would attempt to make first? Butternut squash soup is really easy to make as proven by Becky from Art of Healthy Living. 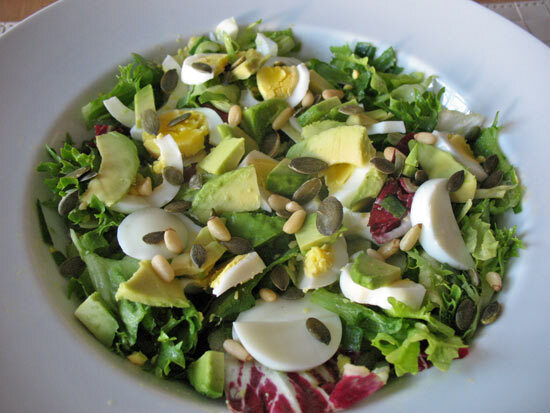 Just add some chillies for some heat and sprinkle with some pumpkin seeds for that lovely crunch. You can make this soup in a slow cooker if you have it, otherwise just use your normal saucepan and cook until soft. For a full recipe go to this page. You will find some amazing recipes on Deliciously Ella website and most recently Ella published a recipe for her Cumin Spiced Parsnip Soup. I really love the sound of it. It’s easy to make and contains simple ingredients. 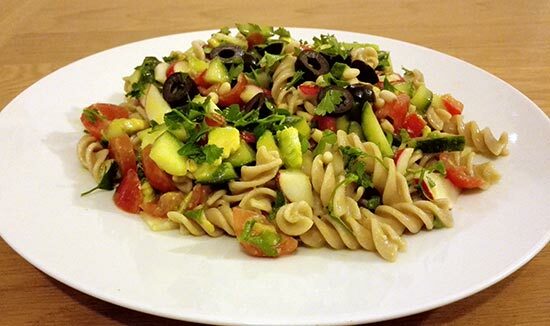 To serve, just sprinkle some pine nuts on top, add some cilantro and chilli flakes, if desired. Cauliflower is in season now and on The Flexitarian website I managed to find an interesting cauliflower recipe with an Asian twist. 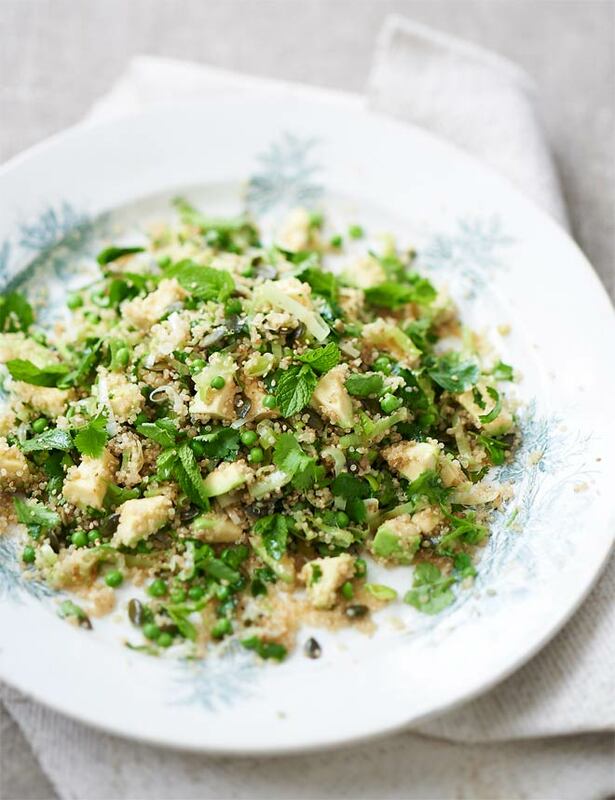 Crunchy Asian Cauliflower Rice Salad is bursting with the wonderful flavours of ginger, cumin, coriander and lime – this salad is raw but all the spices will no doubt warm you up. Cashew nuts are added for some extra crunch and red chilli can be added for an extra kick. This cauliflower rice salad is not only vegetarian, but vegan as well. Have it for lunch at work or as a light dinner. Roasted Jerusalem Artichoke & Parsnip Soup is quite easy to make – just roast some veg, then quickly cook them with dairy-free milk and vegetable stock. Serve scattered with walnut pieces and chopped parsley. The roasted veg create a luxurious and really tasty winter soup, perfect for lunch! This is a vegan recipe. This is another butternut squash soup, but slightly different. Butternut squash and carrots are roasted first before turned into a soup. This just intensifies the flavour and makes it tastier. In this soup you will find a variety of warming spices which no doubt create even more flavour. Make a big batch of this soup at the weekend to enjoy throughout the week. 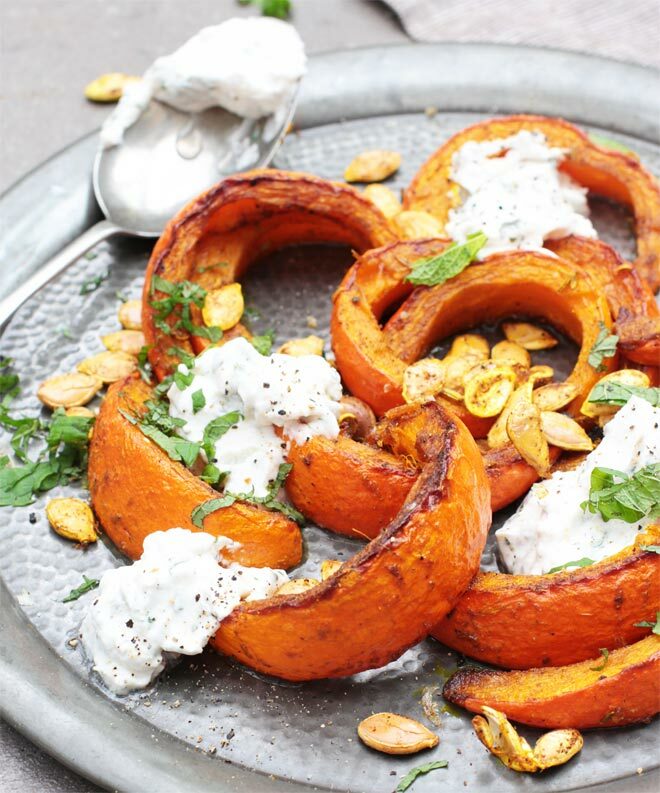 Roast Squash with Mint Yoghurt is a lovely winter starter or a side dish. You can use either a pumpkin or squash, both will do. The dish is quite simple to make and with lovely combination of spices this will no doubt impress guests. For a full recipe, go to this page. This cauliflower curry has been created by Candida Diet Foods and makes a healthy vegetarian dinner full of healing anti-inflammatory spices such as turmeric and ginger. Serve this curry with brown rice and side salad to create extra nutritious meal. This quinoa recipe by Lisa Roukin is gluten-free and makes a lovely nutritious lunch which you can prepare in advance. Leeks are in season now and this is just one of the ways you can cook them to use them up. Full recipe here. So there you have it, my top picks of vegetarian autumn and winter dishes from across the web! What are your favourite winter dishes? Hi, first time commenter on your lovely blog! Just to say thanks for these suggestions – I’ve been stuck in a food rut recently, and these recipes are really inspiring. The cumin parsnip soup in particular just looks amazing. Hi Elaine, I am glad to hear you are finding these recipes useful, I will definitely be referring to them regularly throughout the colder months. Your stew sounds really interesting, do you have a recipe for it? Hi, Petra, of course, more than happy to share the recipe – it’s a bit long to reproduce here in the comments, so I will email it to you! Thanks so much for putting up the list. The Cauliflower curry looks so delicious. Can’t wait to try it out, I bet my family will love it. I am glad you found inspiration in this post Diane. I am yet to try all of these recipes with soups being first ticked off the list.